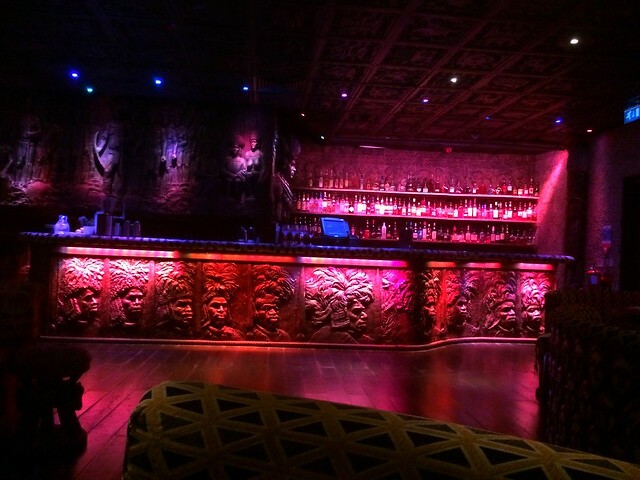 Shaka Zulu is a South African themed restaurant that never fails to make me feel like royalty. I've been a few times now and wrote about my experiences eating crocodile and zebra here. 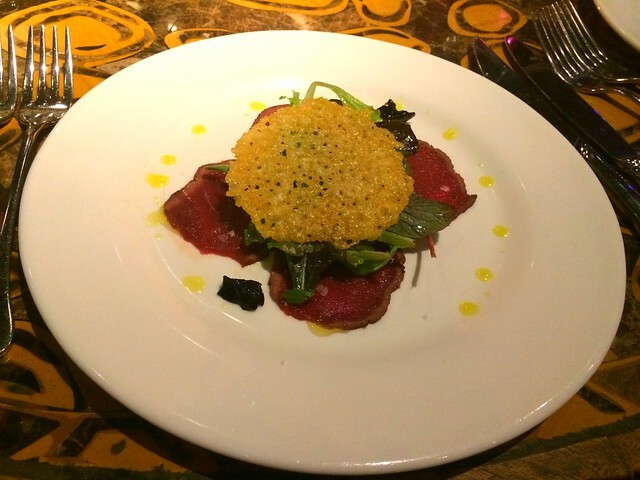 This time we tried the set menu and went for their two course meal. 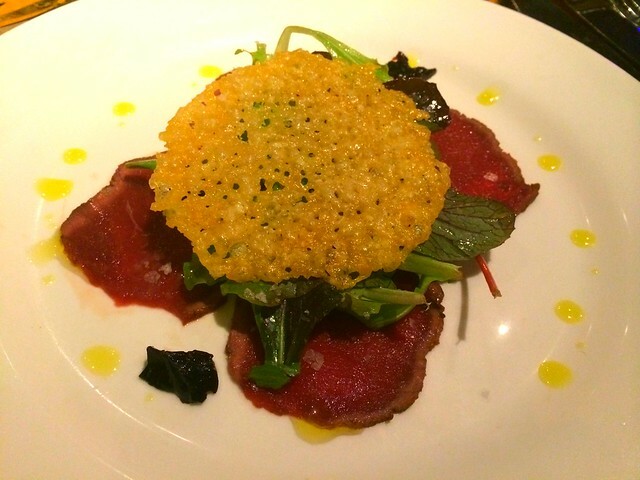 To start we had springbok carpaccio with a parmesan crust. I know that slices of raw meat isn't to everyone's taste, but it was soft and delicate and the cheese complimented it well. 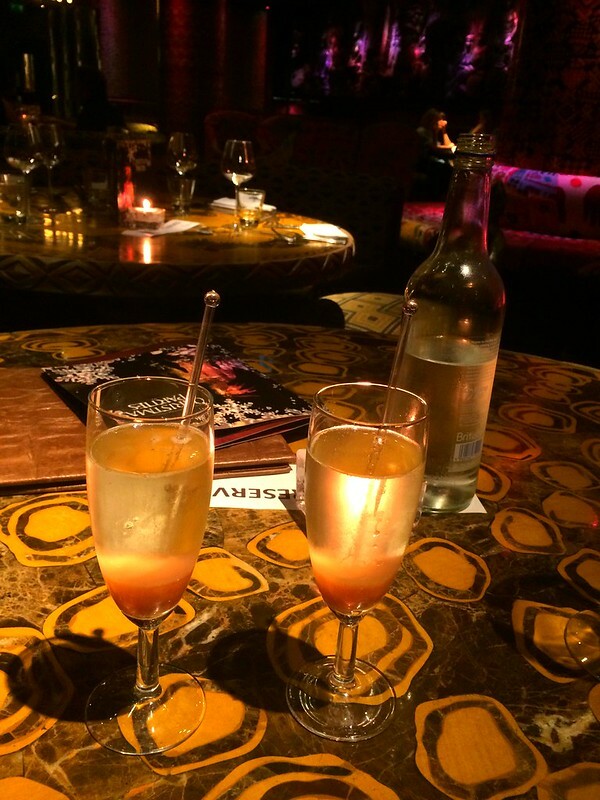 We drank peach bellinis to see the weekend in. We weren't overly impressed with the choice of main meals on their set menu. I mean spit roast could have been interesting, but the meat that day didn't really appeal to us. It was one of those meats you just have to be in the mood for, you know? So we went for steak. A classic. 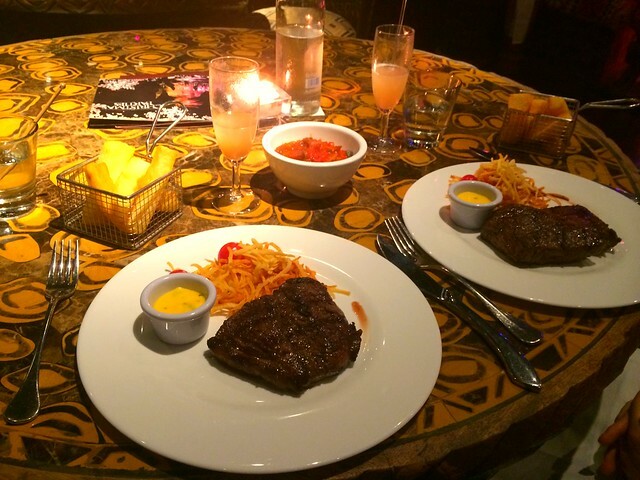 I'm used to lots of places doing very over-priced steak and not getting much for your buck, but at Shaka Zulu I was really impressed with the amount of meat on the plate. In fact I struggled to finish it all...but when meat is that good you have to go for it! ;) I opted for medium rare because of the carnivore that I am. None of the desserts on the set menu screamed out to us, so instead we sat in the bar a while longer before going back to my place. 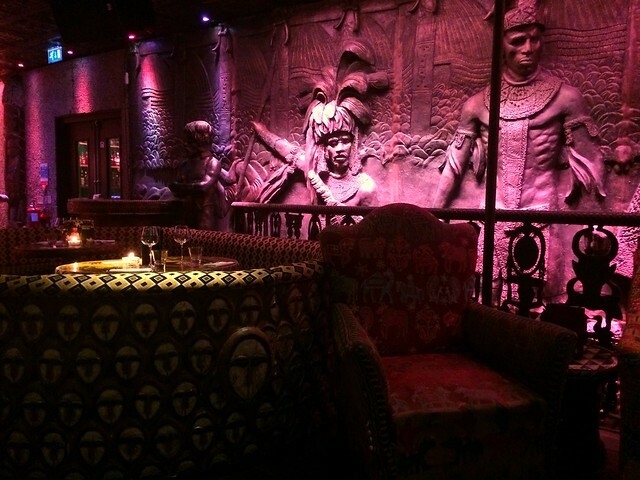 Novelty meats, cocktails and beautiful surroundings... what better way to see in the weekend?! I want to go here badly!